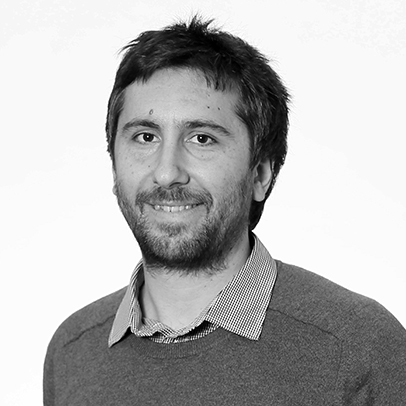 Dr Dimitrios Stylidis is a Senior Lecturer in Tourism at Middlesex University London. Prior to this, he was a Postdoc Researcher and Visiting Lecturer at the Ben-Gurion University of the Negev, Israel. Dimitrios holds an MSc and PhD in tourism from the University of Surrey, U.K., and a BSc in Business Administration from the University of Macedonia in Greece. His current research interests include place image and marketing, tourist destination image and behaviour, tourism impacts and residents' attitudes towards tourism development. His work has been published in several journals including Tourism Management, Annals of Tourism Research, Journal of Travel Research, and Journal of Travel and Tourism Marketing. PGCert HE, Middlesex University London, U.K.
PhD in Tourism, University of Surrey, Guildford, U.K.
MSc in Tourism Management, University of Surrey, Guildford, U.K.
Dimitrios is currently involved in teaching: Researching People and Places, Research Methods and Dissertation (BA and MSc level) and Events Management (BA and MSc level). He has previously taught undergraduate and postgraduate courses including Tourism Planning, Tourism Development, International Tourism Management, Events and Conferences Management, and Dissertation. Iordanova, E. & Stylidis, D. (2019). The impact of visitors’ experience intensity on in-situ destination image formation. Tourism Review. Accepted - In Press. Kim, S., Stylidis, D. & Oh, M. (2019). Is Perception of Destination Image Stable or Does it Fluctuate? A Measurement of Three Points in Time. International Journal of Tourism Research. Accepted - In Press. Stylidis, D. (2018). Residents’ Place Image: A Cluster Analysis and its Links to Place Attachment and Support for Tourism. Journal of Sustainable Tourism, 26(6), 1007-1026. Woosnam, K., Aleshinloye, K., Ribeiro, M., Stylidis, D., Jiang, J. & Erul, E. (2018). Social determinants of place attachment at a World Heritage Site. Tourism Management, 67, 139-146. Stylidis, D., Sit, J. & Biran, A. (2018). Residents’ Place Image: A Meaningful Psychographic Variable for Tourism Segmentation? Journal of Travel & Tourism Marketing, 35(6), 715-725. Stylidis, D. (2018). Place to live vs. tourist destination. Tourism Analysis, 23(4), 553-560. Stylidis, D. & Cherifi, B. (2018). Characteristics of Destination Image: Visitors and non-visitors’ Images of London. Tourism Review, 73(1), 55-67. Stylidis, D., & Terzidou, M. (2017). Editorial Introduction: Sustainable Place Marketing. International Journal of Tourism Policy, 7(3), 173-176. Stylidis, D. (2017). Place Attachment, Perception of Place and Residents’ Support for Tourism Development. Tourism Planning & Development. 15(2), 188-210. Stylidis, D., Belhassen, Y., & Shani, A. (2017). Destination image, on-site experience and behavioural intentions: Path analytic validation of a marketing model on domestic tourists. Current Issues in Tourism, 20(15), 1653-1670. Stylidis, D., Sit, J., & Biran, A. (2016). An exploratory study of residents' perception of place image: The case of Kavala. Journal of Travel Research, 55(5), 659-674. Stylidis, D. (2016). The role of place image dimensions in residents' support for tourism development. International Journal of Tourism Research, 18(2), 129-139. Stylidis, D., Belhassen, Y. & Shani, A. (2015). Three tales of a city: Stakeholders' image of Eilat as a tourist destination. Journal of Travel Research, 54(6), 702-716. Stylidis, D., Biran, A., Sit, J. & Szivas, E. (2014). Residents' support for tourism development: The role of residents' place image and perceived tourism impacts. Tourism Management, 45, 260-274. Stylidis, D., & Terzidou, M. (2014). Tourism and the economic crisis in Kavala, Greece. Annals of Tourism Research, 44, 210-226. Terzidou, M., Stylidis, D., & Szivas, E. (2008). Residents' perceptions of religious tourism and its socio-economic impacts on the island of Tinos. Tourism and Hospitality: Planning and Development, 5(2), 113-129. Stylidis, D. & Terzidou M. (2008). Islands and Destination Image - The case of Ios. Tourismos. 3(1), 180-199. Stylidis, D. (2018). Residents' place image and its interlinkages to tourism development and marketing. ICOT2018, 27/6 - 30/6, Kavala, Greece. Erul, E., Woosnam, K.M., Stylidis D., & Maruyama N.U. (2017). Support for future tourism development in Antalya, Turkey: Considering three theories. 4th World Research Summit for Tourism and Hospitality, 8-11/12, Orlando, Florida.